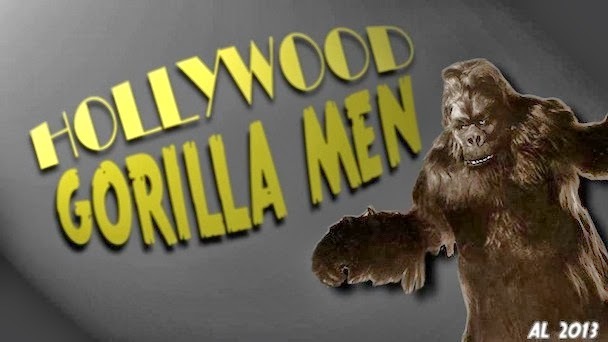 Hollywood Gorilla Men: CONDEMNED TO THE CAGE OF DEATH! Tim Burton has ensured modern audiences will forever remember Michael Gough as Alfred, the benign and attentive man-servant to Batman. 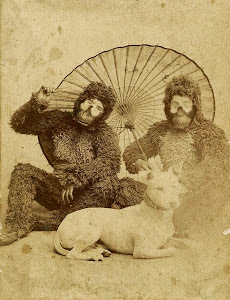 Long before Gough buttled for the Dark Knight, he regularly appeared in horror flick roles with a wicked and maniacal verve. 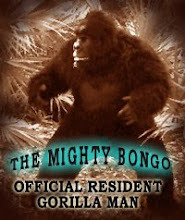 His path also crossed gorilla man George Barrows on two occasions. 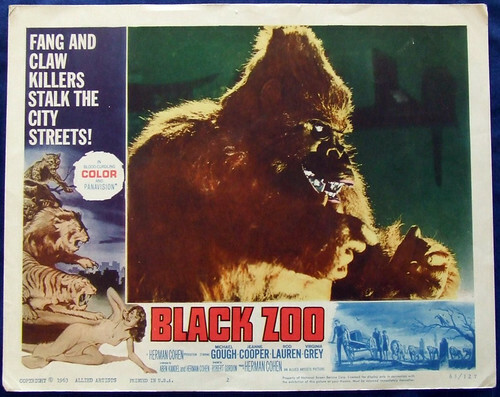 I spoke briefly in a previous post about Barrows non-appearance in KONGA (1961), where Gough plays the mad scientist who creates the Kong clone, but the pair would finally work together in BLACK ZOO (1963). 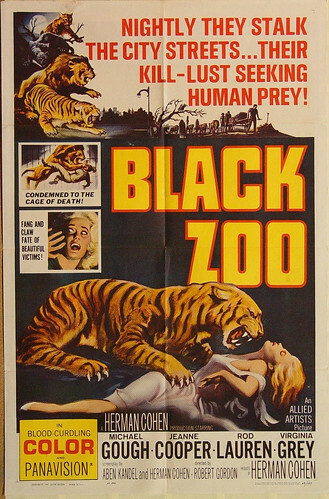 This time out, the evil Brit runs a private zoo where fiendish cult activities pit animal against man. 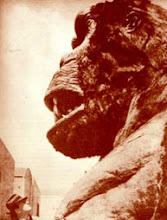 I have yet to see the Herman Cohen film (again, another connection to KONGA (1961) but I am eager to pursue a copy.